<!-\\Default - single specific --> Following a career as a wildlife biologist and regional director for the Wildlife Sector of the Québec Ministry of Forests, Wildlife and Parks for 33 years, Jean is currently Director for Business Development on integrated forestry and wildlife projects with a non profit research organisation affiliated with a post secondary college in Québec City. 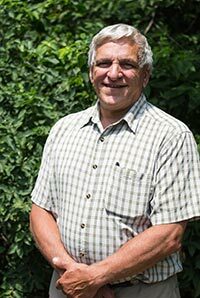 He has coordinated multiple research projects concerning the impact of forestry activities on wildlife habitat and has contributed significantly to the conservation of wetland habitat in Western Québec through land acquisition with partners such as Ducks Unlimited, Nature Conservancy Canada and the Québec Wildlife Foundation. Jean is now active in species at risk habitat conservation and restoration projects as well as developing wildlife management and game warden programs for collegial Institutions in central Africa. Jean is a board member of various NGO’s associated with wildlife and habitat and currently sits as Chairman of the CWF Board of Director’ Wildlife Conservation and Policy Committee. His free time is mostly spent in the outdoors and helping his sons on the family farm.